Margaret Schutt is the Principal of the firm, and she has an admiral reputation for attention to detail ensuring accurate and precise work is carried out by her team. She is a Registered Tax Agent and is a high achiever in all areas of her life with Graduate Certificate in Professional Accounting and Advanced Diploma of Business (Accounting) among her qualifications. She is a member of the Institute of Public Accountants, Tax Institute of Australia, National Tax Agents Association, and Taxpayers Australia. She also invests heavily into many levels of professional development and training to maintain her knowledge and keep abreast of the many changes that occur every day in the accounting and taxation field. From her humble beginnings when she commenced her career with a city accounting practice, Margaret has continued on with a career spanning differing Accounting roles and businesses. Moving from Accounting practices to legal firms and then on to Accounting positions in the commercial sector, Margaret has had extensive experience and knowledge that she has gathered along her journey. After many years of planning, Margaret finally ventured out into public practice in 2007 with a view of providing an Accounting practice with her own point of difference. With years of experience dealing with small businesses, Margaret recognised a real need for assistance “outside the square”. She recognised that small business played a very important role in the market place and that many required more than just the number crunching. They needed nurturing, direction and encouragement. But most of all they needed education and solutions – Solutions that would ultimately provide a path to their own wealth creation. Margaret lives locally and is happy to be available for her clients outside the traditional business hours. Kelly Gilbert is an enthusiastic and energetic member of our team. Her organizational skills are paramount in her role of Administration Manager and Bookkeeper. Whilst she is Margaret’s main support, she is also a highly respected mentor to many of our clients. 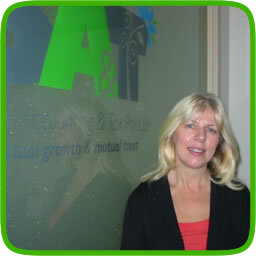 She has a strong client focus and also ensures that our client’s needs are met and goals achieved. 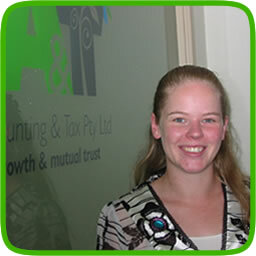 Kelly has come to Schutt Accounting & Tax from Administration and Book-keeping roles in the commercial sector and also brings a wealth of knowledge to the firm. Kelly has a terrific understanding of the requirements of a busy office and can implement streamlining processes to ensure that any office runs as smoothly as possible. She is also competent in setting up the various accounting software systems and packages for our clients and can assist with the training of staff if required. 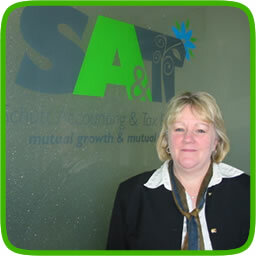 As our Receptionist, Ruth Kiesskalt performs her welcoming role in a bright & cheery manner. She ensures that any telephone messages are conveyed in a timely manner and is able to relay messages back to our clients to ensure they receive the information they’re seeking or at the very least kept up to date with the movements of our staff. She also assists Kelly from time to time with additional book-keeping and administration duties.